countries (Philippines, Indonesia and Thailand) after Malaysia and Singapore in 2015. The newly launched mobile application will be available on both iOS and Android systems. 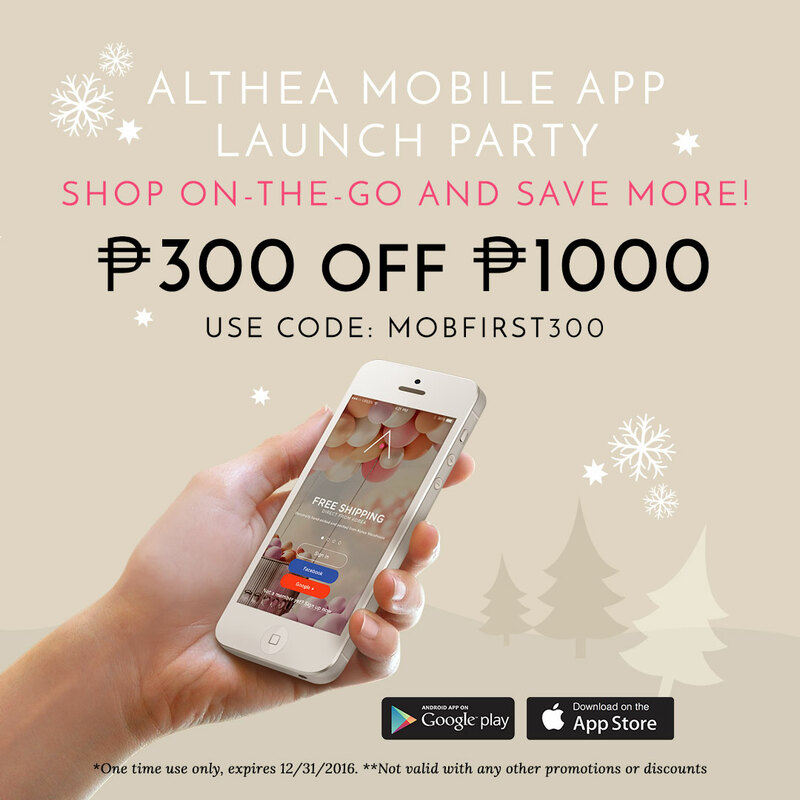 Althea’s mobile application not only allows the consumer the convenience of shopping anywhere with just a few taps, but have also added features such as being able to follow their favourite brands, and adding items to their wish list by tapping the heart button above the product. This allows the consumer to get the latest updates on new arrivals, sales and current promotions as well as get recommendations based on the products they like or have previously purchased.